I took three courses with Professor Zinn. In my freshman year, 1969, I took Howard’s survey course. I believe it was called “Social Justice in America.” The classroom was crammed with students passionate for knowledge and eager for political engagement. 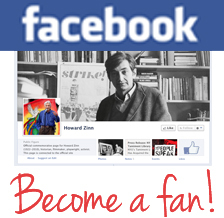 Howard lectured easily and often extemporaneously on history and current events. When it was time for a term paper, I went to his office on Bay State Road and asked for some guidance. “You have a tape recorder? A car? Okay. This man was fired from his job. Go find out what happened.” He handed me an address for the home of Charles Ramsey, a Jamaican immigrant who had been badgered out of his job as a dispatcher at St. Johnsbury Trucking. I drove out to West Roxbury and met Ramsey who gave me a handwritten statement. I interviewed him for about two hours. He had been racially abused, treated like an animal, for months by the company management until finally forced to leave. He was terribly hurt, but angry too, over the hypocrisy of American ideals. Afterwards, I transcribed the interview and used it as a the basis for my paper. A few years later, Howard not only included part of my report in his book Justice in Everyday Life, but also cited my work (page 220). 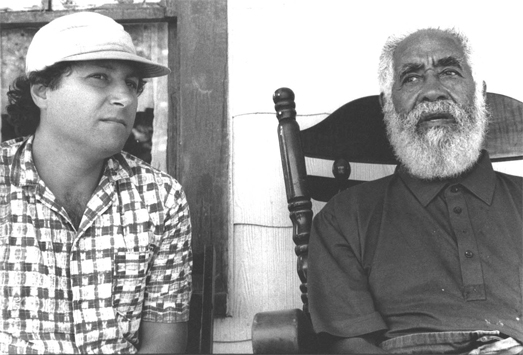 Cleveland, Ohio, September 1989: Robert Dannin, left, interviewing El Hajj Wali Akram for his book, Black Pilgrimage to Islam. Image: © Jolie Stahl. The second course I took was a 1972 seminar on 20th century Marxism. Among the works we read and discussed was György Lukács’ recently translated History and Class Consciousness. Howard had not previously read it. We were about 12 students exploring this work and its interconnections together. Herbert Marcuse, who was a visiting professor that year, stopped in a couple times. “I’m the world’s oldest living juvenile delinquent,” he announced. Howard smiled. That title arguably belonged to him! The third course was the one Howard conducted in the streets and courtrooms of Boston. He led one antiwar demonstration outside a U.S. Army base in Danvers. We were all arrested and charged with “sauntering and loitering to create a public nuisance.” At the arraignment, the judge addressed Howard who had appeared before him so many times that they were on a first-name basis. “Howard, pay the fine and go home. I’ll handle the next part of the lesson for your students.” Naturally, Howard refused to abandon us. We spent the night in lock-up and got released the next day.